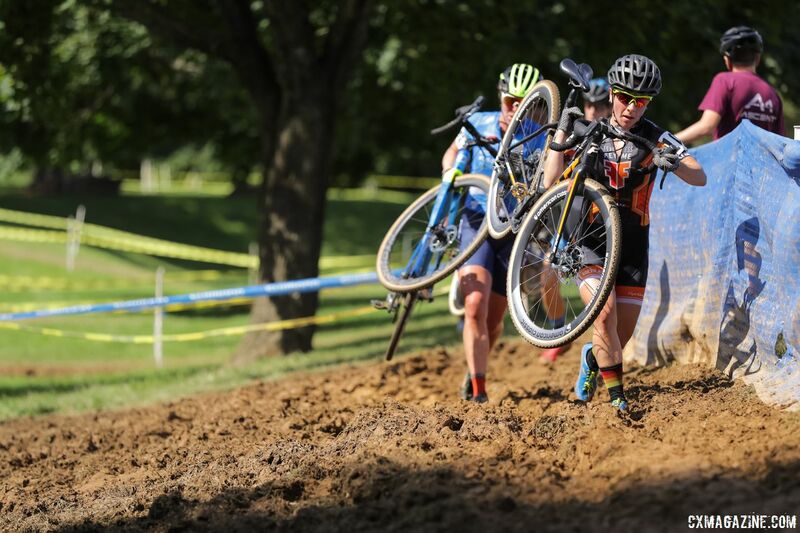 BREINIGSVILLE, PENN.—Elite women and men raced in the reverse direction on Sunday at the 2.9-kilometer course of Nittany Lion Cross in the Lehigh Valley of Pennsylvania. This brought the mud pit into play right away and multiple twists and turns of the course around the Valley Preferred Cycling Center close to the finish. The course change seemed to keep athletes closer together for the second day of racing and eliminated key late passes. 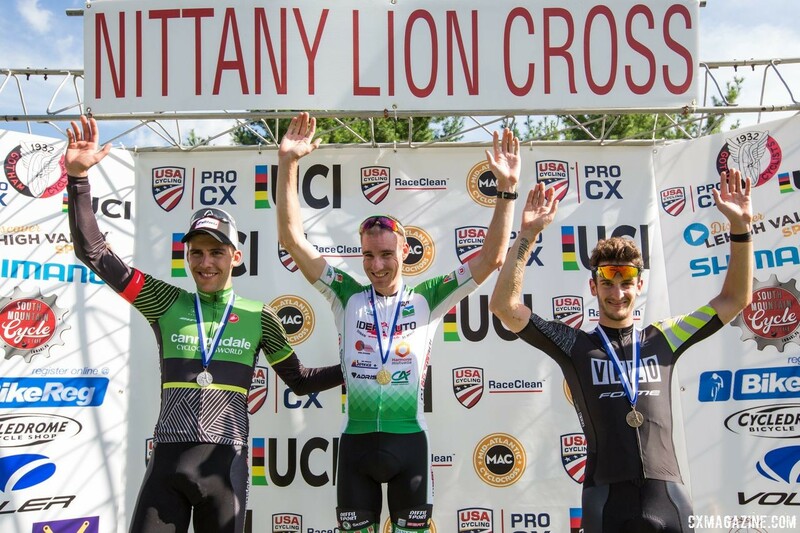 The top points in the Category 2 races for the USA Cycling Professional Cyclocross Calendar (ProCX) went to familiar faces on the podium at the Nittany Lion Cross. Erica Zaveta (Brevard, N.C./ Garneau-Easton Cycling) repeated in the top spot for Elite Women. Matthieu Boulo (Saint-Guyomard, France/Team Pays de Dinan) sprinted to the line ahead of Curtis White (Delanson, N.Y./Cannondale p/b Cyclocrossworld) for the Elite Men’s trophy. Sunshine peaked through the clouds as Arley Kemmerer (Palmerton, Penn./Fearless Femme Racing)took the holeshot for the Elite Women. As she made the first circuitous pass around the velodrome, Zaveta latched onto her wheel, followed by Cassandra Maximenko (Watertown, Conn./Van Dessel Factory Team). It only took one more lap for Zaveta, Saturday’s champion, to grab the lead in the 30-rider field. 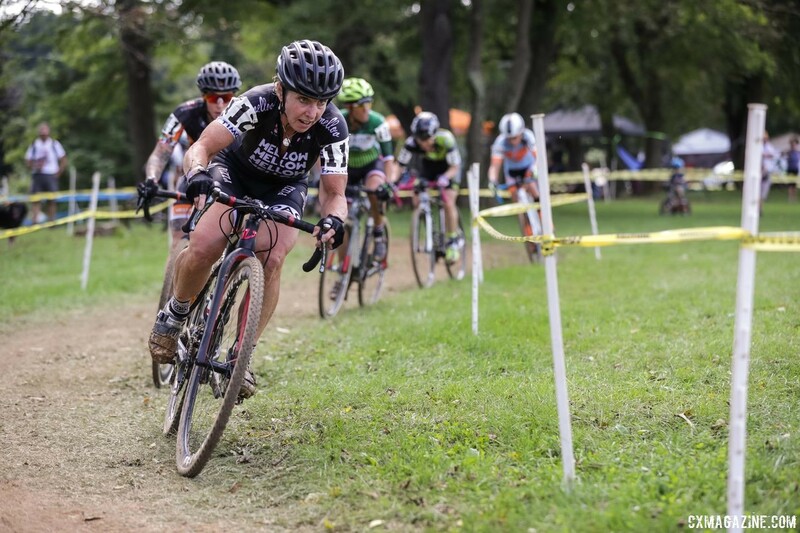 Midway through the six-lap event, the top four riders from Saturday’s race had made separation at the front—Zaveta, Kemmerer, Laura Van Gilder (Cresco, Penn./Mello Mushroom/Van Dessel) and Regina Legge (Salem, N.H./Green Line Velo Driven By Zipca). Maximenko slipped back to fifth position. “I made a move in the middle of the race, and kind of rode away in the technical turns to test, see how things were going,” Zaveta said. The foursome stayed together as a pack until the bell lap, when Zaveta revved it up a notch and surged to a 13-second gap over Kemmerer. 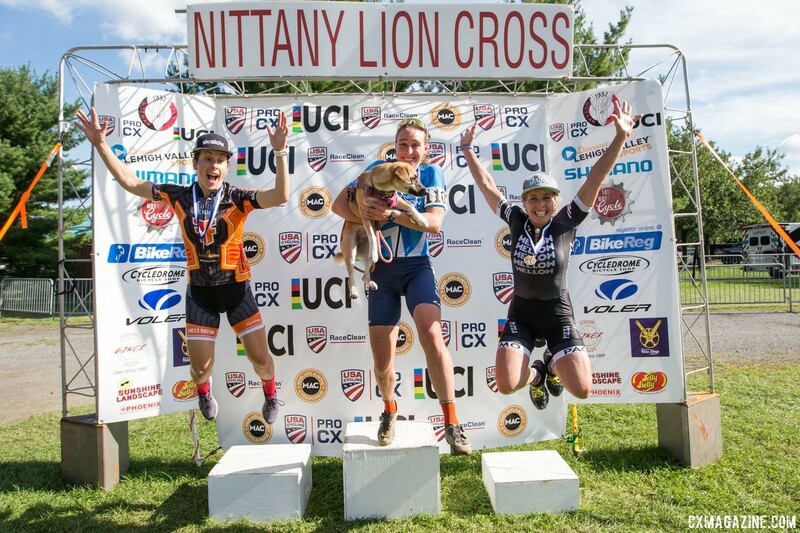 Zaveta would make it two-for-two at Nittany Lion Cross in a time of 46:26. Kemmerer would finish six seconds back in second place, improving from a third-place finish on Saturday. Van Gilder grabbed another podium spot in her stellar career, Sunday in third place. Legge would maintain her position in the break and finish fourth for the second day in a row, 33 seconds back. 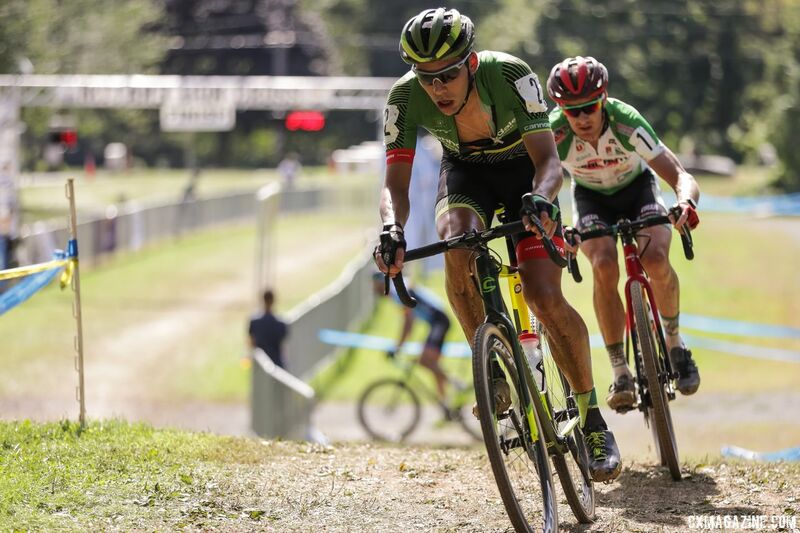 The third-place finish was another positive from early ‘cross season for Van Gilder. 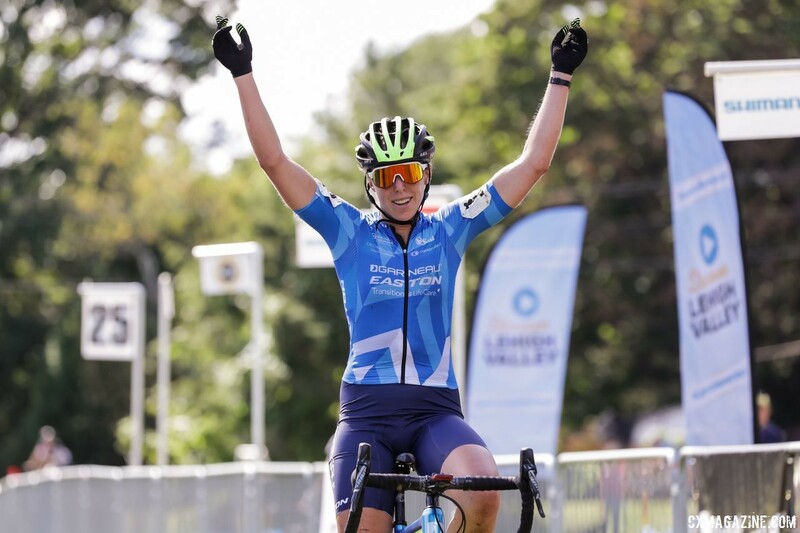 When the 28 riders toed the line on Sunday, it was without Saturday’s winner and ProCX points leader Kerry Werner (Birdsboro, Penn./Kona Maxxis Shimano). It didn’t seem to matter, as all riders hit the dry course at top speed chasing Boulo, who took the holeshot. Except for the mud pit, now with a consistency of peanut butter, the course was very dry and fast. 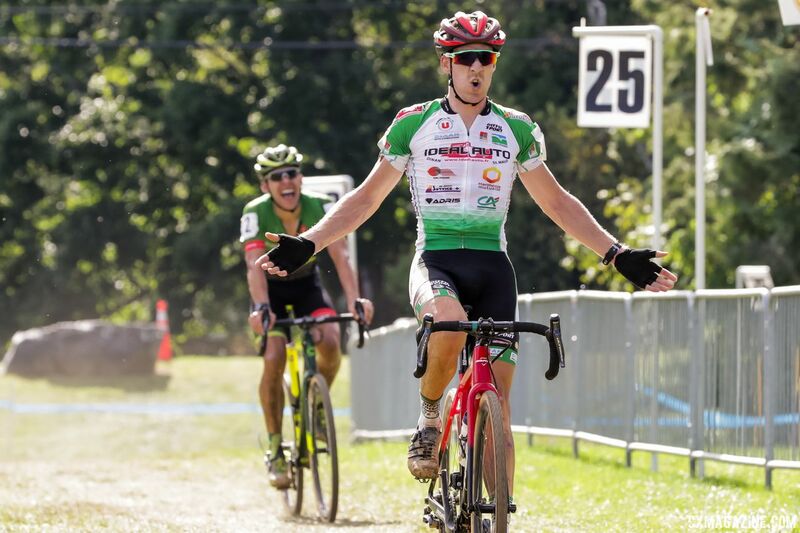 First on the Frenchman’s wheel was Curtis White (Delanson, N.Y./Cannondale p/b Cyclocrossworld). 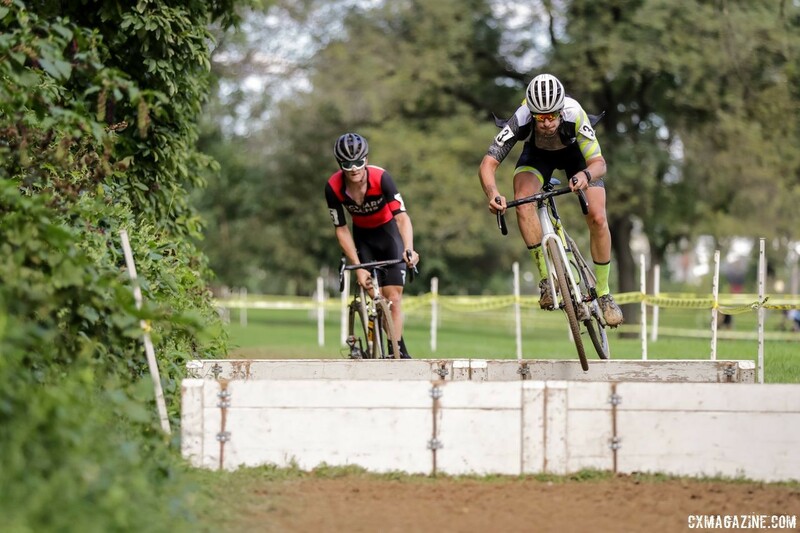 The two were matching attacks at the front of the race, followed closely by Alex Ryan (Lewisville, N.C./Pactimo/mock Orange Cx Team) and teammates Daniel Chabanov (Philadelphia, Penn./Rscx – House Ind – Dwr – Hm) and Michael Owens (Richmond, Vt./Rscx – House Ind – Dwr – Hm). With five laps to go out of eight, Chabanov and Owen had moved past Ryan, but could not gain any ground on the blistering pace by Boulo and White. The Boulo-White matchup kept pushing the pace with each lap and extending the gap to over two minutes to Chabanov headed into the final lap. It was on the bell lap White tried to make a pass at the stairs, but then lost position going into the turns. It was a sprint at the line with Boulo taking the win in 55:11. White scored the same time and settled for silver. Making a solid move on the last lap to finish third was Yorben Van Tichelt (Belgium/Neon Velo), 2 minutes and 17 seconds behind Boulo. Chabanov would take fourth, another 14 seconds off the pace. 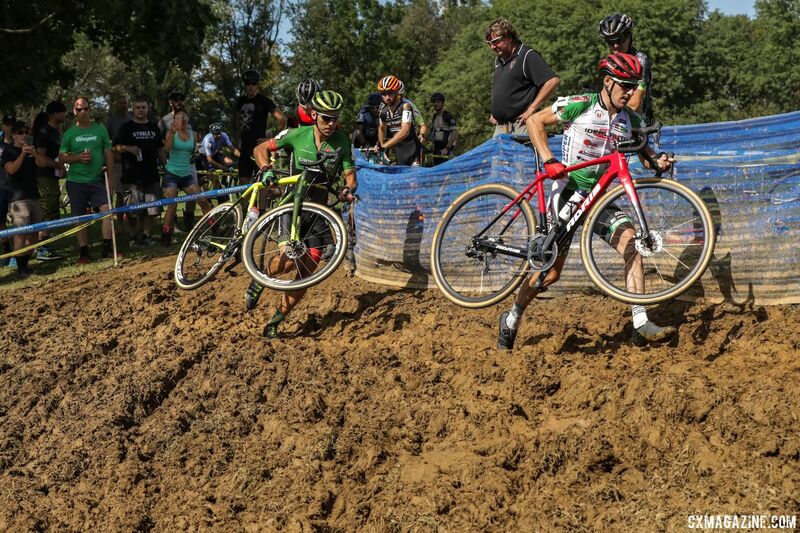 Racing for week 4 of ProCX will feature the midweek RenoCross in Reno, Nev., Wed. Sept. 19. This is the second C1 contest of the season. RenoCross coincides with the venue and dates for Interbike, the largest U.S. bicycle industry trade show. A Friday matinee will be held Sept. 21, C2 racing returns to Waterloo, Wisc. for Trek Cup. 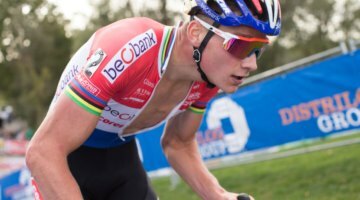 Two days later, Waterloo will host Telenet UCI Cyclocross World Cup races.